Larry Ryan accepts he has an expiration date. Larry Ryan, Ryan Lawn & Tree Photos: Ryan Lawn & Tree, Michael Hatcher and Mission LandscapeThe realistic president of Ryan Lawn & Tree knows he’s going to die at some point, as everyone will, and then he’ll no longer have a hand in the $26 million company he founded in Overland Park, Kan., 27 years ago. But he’s found a silver lining to that fact for the company and its 205 employees. It lies in an employee stock ownership plan (ESOP), creating promise for Ryan Lawn & Tree to have an eternal life. An ESOP introduces a cyclical transfer of ownership in a company whereby sole proprietors, like Ryan, sell their entire shares of a company to employees leading up to their exit from it. Employees, or “employee-owners,” then hold a piece of the pie, so to speak, usually until their own retirements, when they also are required to sell back their shares to the company. Hence, the company is fully and always employee-owned. That perpetuity sways a slice of Green Industry business owners to favor the ESOP over other exit strategies. But the greater part of the industry overlooks it as an option, financial consultants concur, due to the complexity and costliness of starting and maintaining one. The ESOP has been around as a viable exit plan since 1974, when Congress passed the Employee Retirement Income Security Act, allowing the ESOP to be managed as a qualified retirement plan under the Internal Revenue Service (IRS). Only S and C corporations are eligible for an ESOP, and companies first must undergo a feasibility analysis, usually by an investment banking firm or ESOP consulting firm, to determine whether they’re financially qualified to do so. That analysis and the time of attorneys and consultants make up part of the startup costs of an ESOP. For some perspective, David DuBois, president of Mission Landscape in Irvine, Calif., says it cost $25,000 to start his company’s ESOP in 2005. To ensure a company is financially able to cover the costs, consultants say the rule of thumb is for a company to be valued between $5 million to $10 million when it starts an ESOP, but there are exceptions. Ryan Lawn & Tree, for example, was $2.5 million when it began its ESOP in 1998. The ESOP is funded through the creation of an ESOP trust, essentially a piggybank filled with contributions from the company and emptied for employee-owners upon their retirements. And because an ESOP is a qualified retirement plan, tax deductions may be applied to money contributed to and taken from an ESOP trust, like when a company matches contributions to a 401(k). It’s acceptable and common to fund an ESOP trust through a loan. In this case, which is called a leveraged ESOP, the company takes a loan from a bank to then lend to the ESOP trust, making funds immediately available to the proprietor selling shares. With an unleveraged ESOP, when a company does not take out a bank loan to fund the trust, the proprietor typically receives a promissory note—sort of an “I owe you” from the company—for his or her shares. Regardless of the form of ESOP, the business still must generate contributions for the ESOP trust. These contributions generally are made annually, which is why profitable, mature companies are apt candidates for the ESOP. Employees who have been with a company for one year are automatically enrolled in the plan, meaning they own shares in the company—often the percent of shares they own is directly related to the percent of payroll they hold. After a vesting period, which may be three to six years, employee-owners may cash in on their shares by retiring or leaving the company. Some companies, however, allow employee-owners to receive dividends during their participation in the ESOP. Companies are required to have a formal business evaluation every year to guarantee shares are allocated fairly and to IRS standards. That evaluation, along with contributions to the ESOP trust, payments to the trust trustee and the money to be paid to employee-owners when they exit make up some of the annual expenses to maintain an ESOP. Ryan Lawn & Tree pays about $5,000 every year just for its evaluation. Then again, writing those checks brings the value of an ESOP full circle for Ryan and other original proprietors. 1. Under section 1042 of the Internal Revenue Code, if at least 30 percent of a C corporation is ESOP owned the company may defer paying capital gains taxes on the sales proceeds. 2. In a leveraged ESOP a company can repay the principal of the bank loan using pre-tax dollars. 3. A company may deduct dividends it pays on ESOP stock, so long as those dividends are either passed through to the employees or the ESOP uses them to make principal or interest payments on the loan from the company. 4. An S corporation that is 100 percent ESOP owned is not subject to federal income tax. Visit LandscapeManagement.net for more detailed descriptions of these benefits. “When I sign that check I will smile and say, ‘After all the things you did for me, I am so privileged I get to do something back for you,’” Ryan says. Beyond financial feasibility, it’s that employee-centered mindset that attracts some proprietors to the ESOP more than other exit strategies, says Kelly Finnell, president of Executive Financial, an ESOP consulting firm. Finnell, author of The ESOP Coach, says the original owner of an ESOP company generally is a baby boomer (ages 46 to 64) who has retirement in the back of his or her mind. Most ESOP candidates want liquidity, are motivated by tax saving and care about employees, he says. They’re also highly proud and confident of their business, he adds. Michael Hatcher, for instance, says he’s been “coaching” his way out of Memphis, Tenn.-based Michael Hatcher & Associates since it began an ESOP in 2008, when it had been in business about 20 years and was $10 million in annual revenue. Hatcher now owns 75 percent of the company, which is made up of 92 employee-owners and does $8 million in annual revenue—he attributes the revenue dip to a change in service focuses from design/build to maintenance, not to the ESOP. The option of an ESOP came on his radar about a decade ago, when, at $6 million in annual revenue, he started researching exit strategies. With his team top of mind, he saw the value in the ESOP. “We were working close to right about 100 employees, so I felt obligated to create some sort of safety net or continuation plan for that 100 people,” he says. DuBois recalls Mission Landscape being around $11 million when it started an ESOP in 2005, the same year his father, Wayne DuBois, retired from the company that he founded in 1970. The leveraged ESOP, he says, was put in place to be a retirement plan for his father and a safety net for employees, including him. The younger DuBois now owns 40 percent of the $31 million company, made up of 560 people. He adds he didn’t alter his leadership style much to fit the making of the ESOP. DuBois always has supervised through incentivizing rather than “holding the whip,” he says, and believes there’s a greater strength in a team versus a single leader. Leveraged ESOP: An ESOP whereby the company obtains a loan to then lend to the ESOP trust. Unleveraged ESOP: An ESOP that utilizes its own profits to fund an ESOP trust, not a loan. Share: A portion of ownership in a company, which, in an ESOP, generally is relative to the percent of payroll held. ESOP trust: The account, which the company contributes to, that holds the money for the ESOP to pay employees for their shares. Vesting: When, based on tenure of employment, employees acquire an increasing right to their shares. 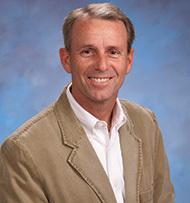 Mark Palmer is an exemplary employee-owner from an ESOP company. 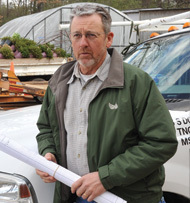 The nursery division director has been with Bellevue, Idaho-based Webb Landscape for 25 years, including the time frame the company transitioned to an ESOP in 2001. The original owner, Doug Webb, has since sold all of his shares to the company, making it 100 percent employee-owned. Palmer now owns 3.5 percent. From an employee-owner viewpoint, he says one of the largest adjustments with the ESOP is the owner-level accountability he and his colleagues now have for their job performance. Yet, that also creates a pride of ownership, he says. Mission Landscape makes a point to instill this understanding in its employee-owners. 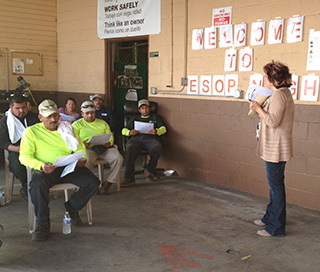 The company publishes an ESOP newsletter to inform employee-owners on the workings of the ESOP. It also memorializes when stock certificates are bestowed to employee-owners every year after its business evaluation and when dividends are distributed. Plus, it holds an annual “ESOP night” to act as an education forum on and celebration of the ESOP for employee-owners and their families. Once that culture is developed and the value of an ESOP is instilled in employee-owners, proprietors say retention rises and recruitment becomes easier. DuBois and Ryan, for example, tout their companies’ ESOP status when they recruit, although DuBois admits middle-age prospects latch on more than the younger job candidates. Being an ESOP has proven to be a selling point in acquisitions, too, for Ryan Lawn & Tree. In February the company acquired Simply Green Lawn Sprinklers, and Ryan says it has another deal in the works. The turning point for sellers, Ryan says, is they appreciate their employees can become owners of a company rather than acquired assets. By the numbers, the company is offering opportunity and is shaping up to Ryan’s philosophy, thanks to its ESOP. His ownership has dwindled to 10 percent, and the company is on track to reach $100 million by 2030, when he’ll be 80 years old. Though he’s optimistic about sticking around to see himself and his 200-some partners reach the milestone, for Ryan, it’s similarly satisfying to know his legacy is secure. Lewis Tree Service* N/A 3,470 West Henrietta, N.Y.
Michael Hatcher & Associates $8 million 92 Memphis, Tenn.
Mission Landscape $31 million 560 Irvine, Calif.
Gardeners’ Guild $10 million 135 Richmond, Calif. The Greenery $38 million 550 Hilton Head Island, S.C.
Ryan Lawn & Tree $26 million 205 Overland Park, Kan.
Sunflower Landscaping & Maintenance N/A N/A Delray Beach, Fla.
*Listed as a top 100 employee-owned company by the National Center for Employee Ownership. 1 Comment on "ESOP: The exit strategy breeding ownership pride in the Green Industry"